Teeth that have been significantly compromised can benefit greatly from the strength and protection a crown provides. Dental crowns are tooth-shaped, porcelain ‘helmets’ that are custom designed for each patient and restore the integrity of the tooth. There are several different ways to manufacture crowns. Our newest and most exciting alternative, is via our Cad-Cam CEREC machine. We are now able to manufacture most crowns in house in a single visit! Gone are the days when crowns required multiple appointments and weeks of waiting. 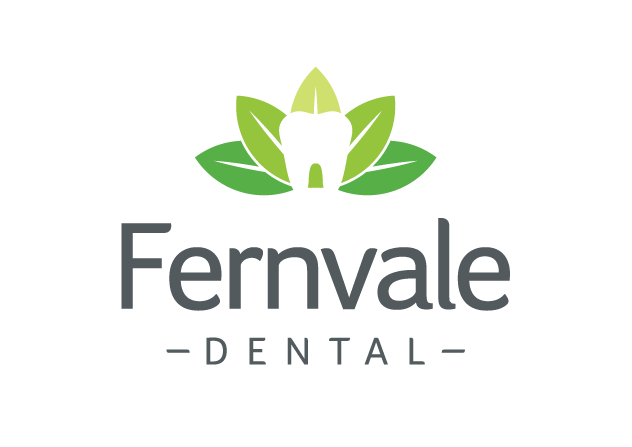 In a single appointment we now prepare the tooth, digitally scan the area and design the crown while you watch, or better yet, grab a coffee and relax! There is then only a short wait while the crown is milled and fired before it is ready for inserting. The total appointment time is generally around two and a half hours. This technology allows our dentists to control the entire procedure, and does not rely on an offsite technician who may not know your bite the way your dentist does. We believe it’s a game changer, providing high quality results efficiently and much more conveniently. In some cases, a different type of crown is required for optimal results and we have a number of local labs we use to manufacture these cases so we can rest assured they are made from only quality and reliable materials. If you have previously had root canal therapy on a tooth, your dentist may also suggest you protect the integrity of the tooth with a crown. 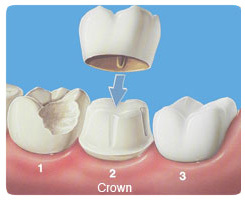 Crowns can also be used to restore a dental implant post-surgery or anchor a dental bridge. Please give our friendly staff a call to discuss your crown requirements, and we can arrange an appointment to suit your busy schedule. Dental bridges quite literally bridge the gap left by one or more missing teeth by using natural adjacent teeth as anchors to suspend porcelain replacement teeth between. Bridges are an excellent fixed alternative to dentures for those only missing a few teeth. Bridges are made over two appointments. Your dentist will first prepare the anchoring teeth and take impressions of the area. These are sent to our local lab where they will specially fabricate your bridge. 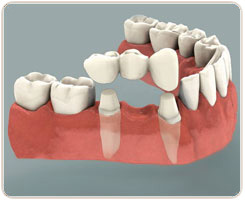 At the final appointment your bridge is checked to ensure a perfect fit before being cemented into place. If you have any missing teeth and would like to speak to one of our dentists about replacement options, please give our friendly staff a call.